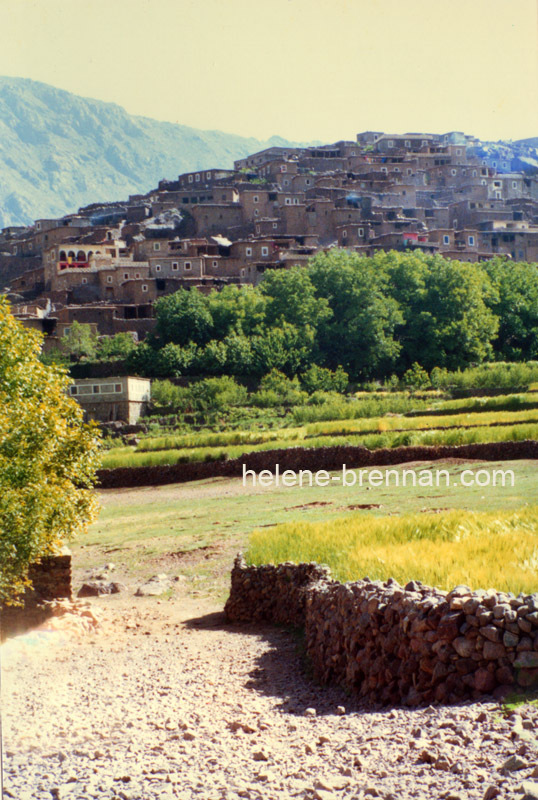 Approaching Aroumd (AKA Aremd), a typical Berber village, in the High Atlas Mountains. The flat roofed stone houses were built almost on top of each other, going up in steps along the mountain side. Unframed, no mount. Easily posted. Framing possible, please enquire.